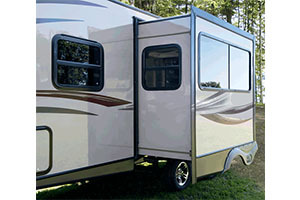 At Wilkins RV we are committed to providing our customers with the best service and prices. That’s why we routinely update our RV parts and service coupons. This month you’ll notice a wide variety of service available to make winding down the RV season easy, along with parts that help make life on the road just a little easier. Here’s a snapshot of some of the deals available to you. Check out our RV parts and service pages for additional deals. 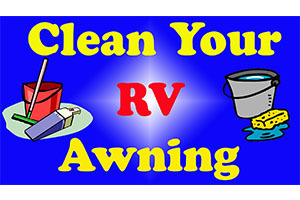 For $75.99 you can get your RV awning cleaned and inspected. Our experienced service professionals will inspect your awning to make sure there aren’t any tears in it, adjust the spring tension as necessary, then give it a good cleaning to scrub away any dirt that might have accumulated over the summer camping season. Spots are filling up fast, so be sure to book now. This summer has been sweltering in many parts of the country. 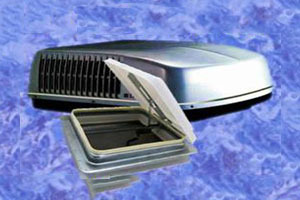 If your air conditioner was working overtime this camping season, stop in and have our team service it. For $89.99 we’ll clean your coils and evaporator, perform an amperage test, and check and replace the filter if necessary. RV slides are wonderful because they provide you with a ton of living space, but getting the most out of them means they need to be maintained. Our $99.99 RV slide inspection covers two rooms and includes inspection of the slide alignment, inspection and lubing of the slide seals to ensure moisture stays out and lubing of slide gears. 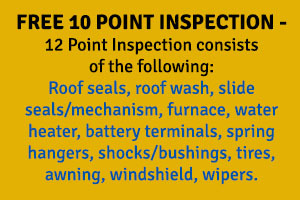 If you subscribe to all three RV services you can get 10% off your entire bill, plus a free 12-point inspection. 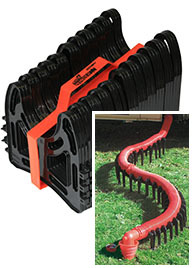 Get a 15′ or 20′ sewer hose support system for $29.99 or $39.99 respectively. This system makes emptying your black holding tank easy because it provides structure and direction for the hose, while keeping it off the ground. Get in touch with our team here at Wilkins to schedule your RV service appointment. We will make sure you’re taken care of so you can be ready for your next RV trip.